Alex Nagel, assistant curator of ancient Near Eastern art at Freer|Sackler, is the in-house cocurator of the exhibition The Cyrus Cylinder and Ancient Persia: A New Beginning, on view at the Sackler through April 28, 2013. Nowruz Mobarak! Recently, many countries around the world celebrated Nowruz, the Persian New Year. At Freer|Sackler, thousands of visitors of all ages engaged in activities that included music, storytelling, hands-on activities, “fire-jumping,” and games. I had a wonderful time helping the chess and backgammon players, working with local experts and communities, and telling people about the ancient roots of these popular games. But how was Nowruz celebrated in the ancient world, with its multiple religions, festivals, and languages? On this particular Akitu-tablet, in the collections of the Louvre, the writer praises Marduk as lord (“Bel”) and his wife Zarpanitu as “Beltia.” During the festival, the king of Babylon would lead a procession with a statue of Marduk to the river Euphrates, where the citizens of Babylon would watch as the statue was transported by boat to the Akitu Temple in the north. On the final day of the festivities, citizens brought offerings and tributes to Marduk, which became a source of wealth for the Esagila sanctuary. 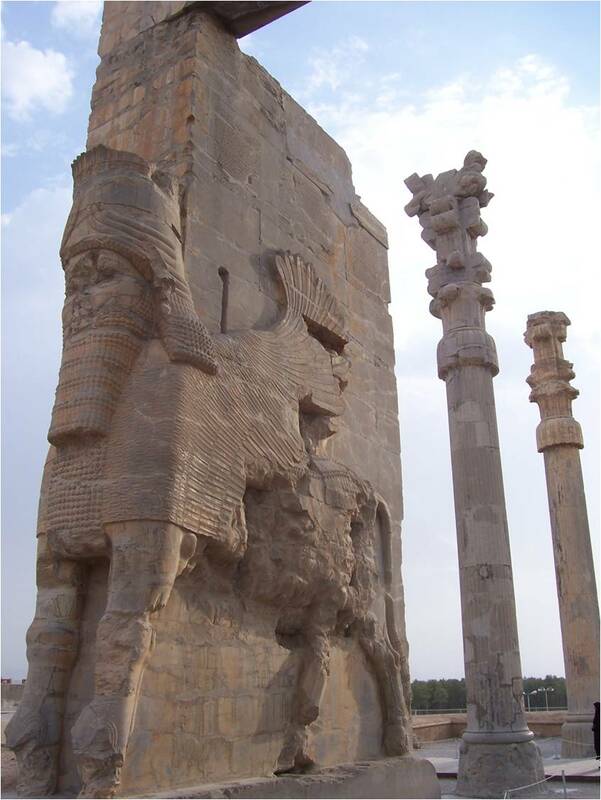 Unfortunately, there’s much less written evidence for the New Year’s festivities in places like Persepolis and Susa. Some scholars have argued that there is a special significance in the bull and lion scenes found carved on the walls of the Apadana, one of the many buildings still preserved at Persepolis. Thousands of tablets excavated at Persepolis provide important information about high numbers of livestock used for cult purposes that we are only beginning to understand. And, what about jumping through fire? While it is not mentioned in the tablets, we know that the tradition of fire jumping began with people aiming to ward off evil spirits. As shown by the number of enthusiastic jumpers at the Freer|Sackler Nowruz celebrations, it is still a good way to start the New Year.